It's starting to gett difficult for me to track all the real-time 3d technologies market. The things in the real-time 3d market is evolving faster and faster … I suddenly see products I haven't seen before etc … but about this maybe more at another time. Torque from GarageGames is well known. It initially started with the Tribes Engine and Tools for indies. In recent years more products came up like the 2D engine and editor called TGB (Torque Game Builder). 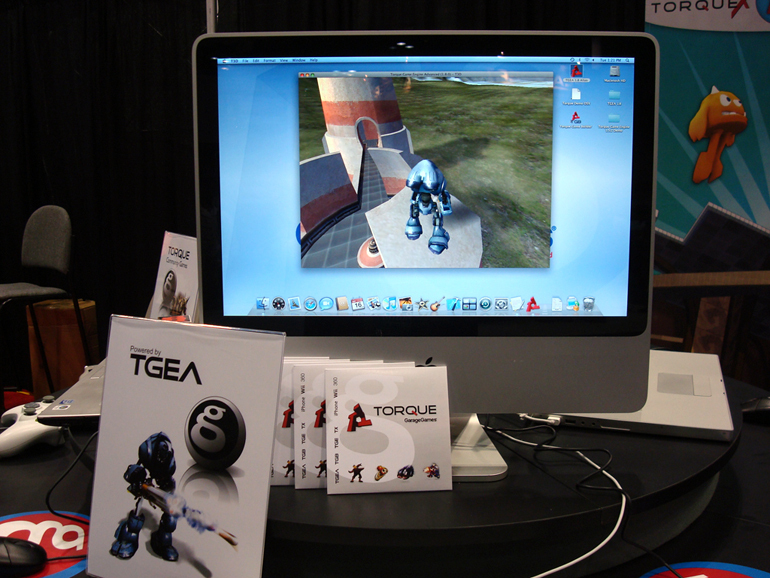 A further developed version of the TGE (Torque Game Engine) is called TGEA (Torque Game Engine Advanced). Sounds interesting, doesn't it? They will name the new version "Torque 3D". The 2D product will be renamed to "Torque 2D". The current TGEA 1.8 beta adds OpenGL support, I guess it's the first step for cross-platform web publishing. If web publishing is going to be free, is not clear yet … maybe not. You can read about it here. So what price makes sense? What's commensurate with the value Torque provides? Again, I don't know the answer to this yet. It's not $150 / seat and it's not $295 / seat. Perhaps it's $1000. Perhaps it's more. I look at products like Flash ($699) or 3ds Max ($3495) / Maya ($4995) and compare them with Torque. TGE never attracted me seriously. But maybe with their next generation of tools, it might become an interesting alternative too.